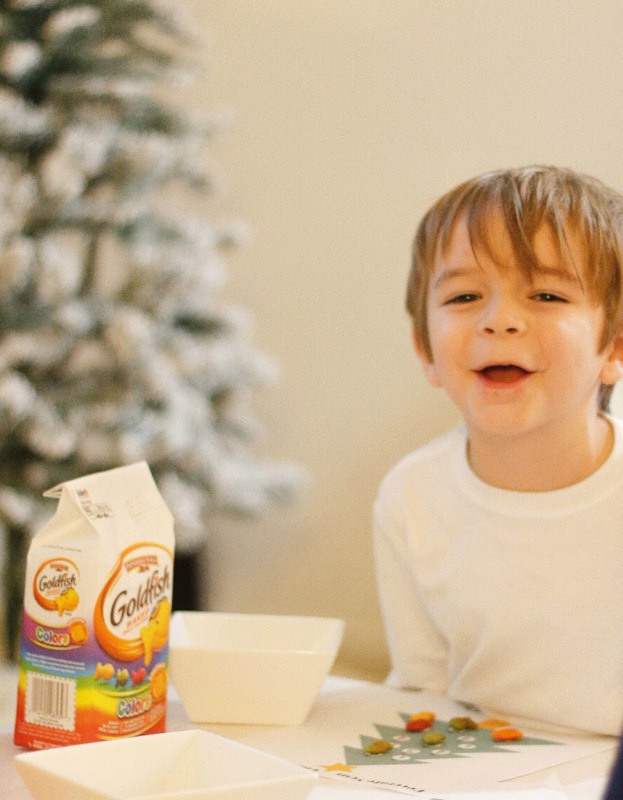 Yummy and Educational Boredom Buster for the Kids this Holiday! Hello, Hello! I hope you're all recovering ok from the Weekend sales! I definitely put an unneeded dent in our bank account. BUT i did get a lot of great new things I can't wait to share with you! Until then, I wanted to let you guys in on a fun little activity that was inspired by the Holiday Break last week and today's Sponsor, Goldfish. Even though last week flew by and I never felt like I had a moments rest, Hudson still found time to complain of boredom. I'm sure you're familiar with that whole routine. 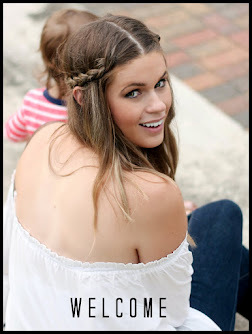 So I headed to pinterest (As one does) in search of easy DIY pre-school activities. There are a ton of them HERE if you're in need. But this is the one that needed the least amount of preparation and kept him happy and playing the longest. Hudson has been loving these sort of matching games lately. 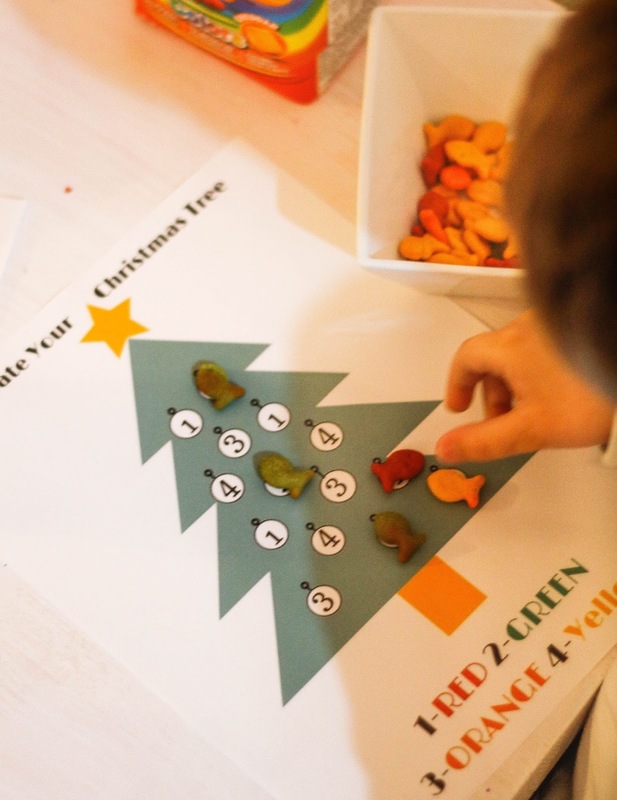 So, I thought this Christmas Tree printable was perfect for him. 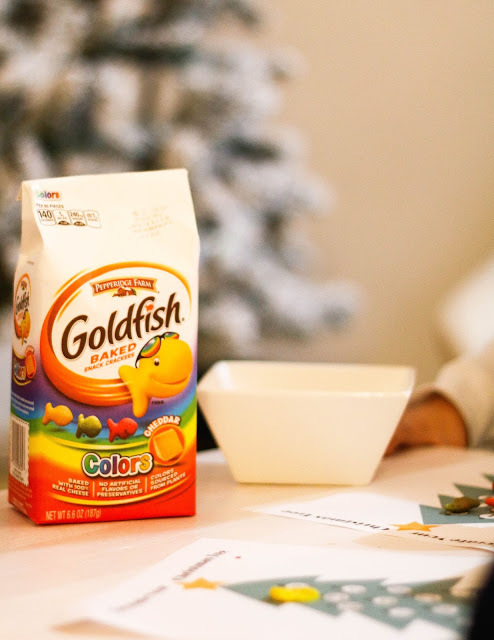 And it works wonderfully with these colored Goldfish that we always have around the house. Feel free to print some out for your kids, the next time you're looking for some quick and easy entertainment. 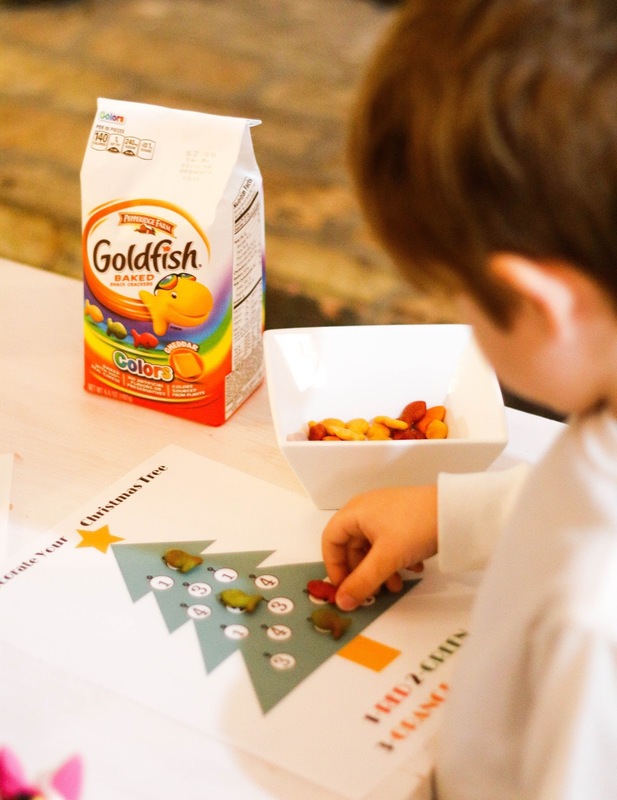 There are tons of other similar ideas HERE that will spark your kids' imagination and love for learning over the upcoming Holidays! Also, you can head HERE to learn more about the colors on Goldfish Colors Crackers. Did you know the colors on each cracker are sourced from plants, like the reddish seeds of the Achiote Tree?! Read more HERE! And let me know what ways you're busting boredom over the holiday break! I'm always looking for new ideas!